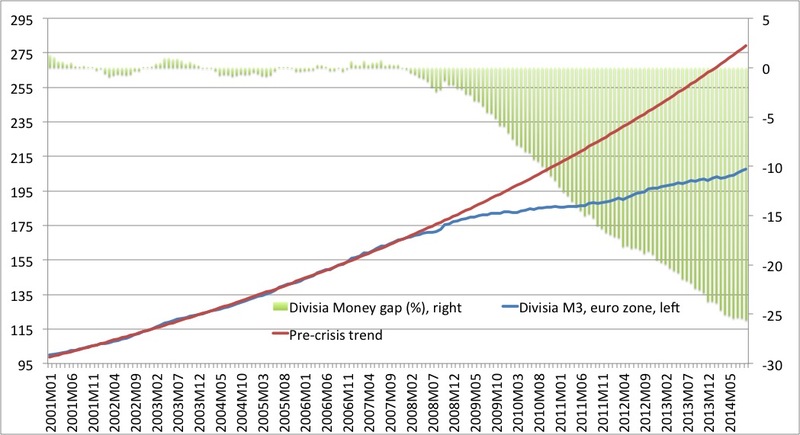 I am not convinced the pre-crisis situation was stable, sustainable and close to equilibrium. While you could make that argument if it were only 2006, at the peak of the market cycle, I don’t think you can make the case that it was excessive all the way from 2000. The Euro strengthened quite a bit relative to other currencies from that point and bubble conditions were not present for the early part of that period.